Calculus – Online MCAT Prep Course | Start now with Lecturio! Learn Math with Lecturio—the most effective and flexible exam preparation! Math is a basic subject necessary to help you on your way to studying medicine. Even if it is not an explicit MCAT section, it does provide an important foundation which will help you to better understand several scientific disciplines such as physics, biology, and sociology. A basic mathematical understanding is especially important to fully and immediately get to grips with physical topics and be able to quickly solve any related tasks. This is why it is recommended to attend a calculus course, which is also a requirement for MCAT exam admission. At Lecturio you will find math and statistics in two separate courses in order to address each topic in detail. Comprehensive download material and specialized lecture notes will help you to strengthen your knowledge. Furthermore, the comment section gives you the chance to personally ask the instructor questions that will be answered as quickly as possible. Additionally, by answering the course’s quiz questions you will be able to constantly assess your learning progress and optimize your exam preparation. 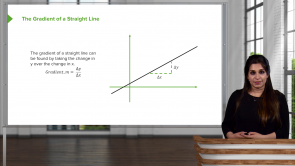 Learn math in a straightforward and effective way—with Lecturio! This is a very great from of lecturing, well explained and user friendly. Succinctly theorized. This is a very great from of lecturing, well explained and user friendly. it explained in a detail, and it very understandable. I would also suggest making extra test banks or past exams question on the topic available. the explanation was very clear , i've understood it very quickly , the vidéo is realy well done . it was great, everything was explained. At the end it completely made sense to me.